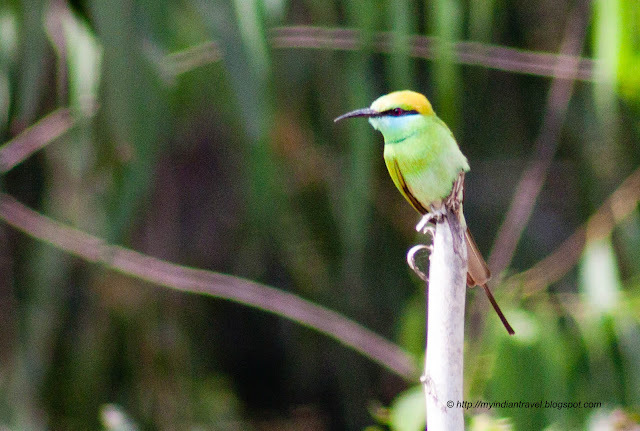 At Jakkur Lake in north Bangalore you can come across many colorful birds. 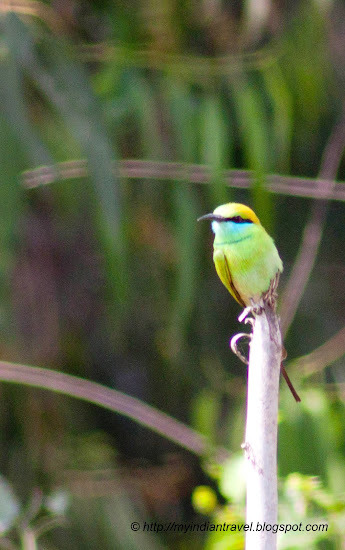 One of them is Green Bee-eater. They are richly coloured bird.This is a slender bird that is 9 inches long with about 2 inches of elongated central tail-feathers. The entire plumage is bright green and the crown and upper back are tinged with golden rufous. A black line runs in front of and behind the eye. The iris is crimson and the bill is black while the legs are dark grey. Gorgeous birds! Very pretty colours. Beautiful bird, love his colors. a very beautiful bird. it looks a bit like our hummingbird but it looks bigger. Extraordinary! A beautiful bird and marvelous photography. This bird is so colorful and I see it is very large also. You have the best birds there. 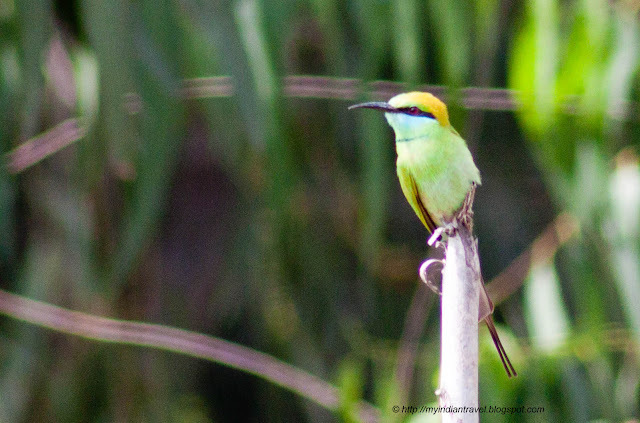 What a beautiful Bee Eater. Such beautiful little bird. Great picture.